Now buy PR171 Pocket personalised or just plain in our fashion range. 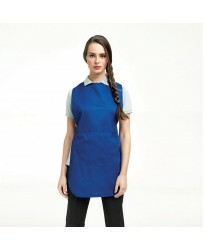 These Apron are part of the br..
Now buy 953F Ladies 3/4 Sleeve personalised or just plain in our fashion range. These Corporate Shir..
Now buy DV250 Pocket personalised or just plain in our fashion range. These Tabard are part of the b..
Now buy DV251 personalised or just plain in our fashion range. These Tabard are part of the brand Wa..
Now buy DV260 Long Pocket personalised or just plain in our fashion range. These Tabard are part of ..
Now buy PR172 Long Pocket personalised or just plain in our fashion range. These Tabard are part of ..